Hard copy Survival Horror and Zombie Fighter released! The hard copy versions of SURVIVAL HORROR TABLETOP GAME and ZOMBIE FIGHTER are now available to order from the blog store! 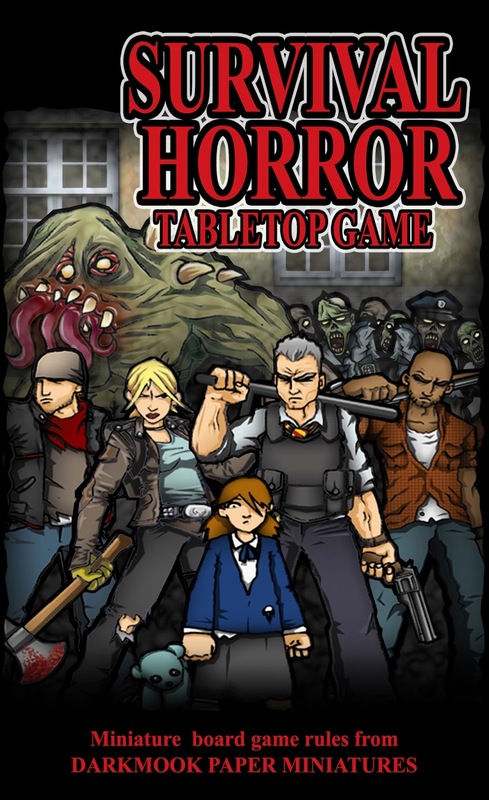 SURVIVAL HORROR TABLETOP GAME is priced at £12 and ZOMBIE FIGHTER at £10, with a discounted price of £20 for both. P&P info is available on request! This morning I received the hard copy bundle, Survival Horror Tabletop Game plus the new Zombie Fighter. What can I say? I'm still admiring the components now ... I am very satisfied. And the value for money is exceptional imho. For 20 UK pounds ( about 24 euros - 32 U.S. dollars )now I have two great games. The components of each of them are contained inside a black dvd case with its beautiful cover. Inside there is a labeled CD with all the components in a digital format and the sheets, in excellent paper, again with all the game's components ( Actually SHTG board sections and cards are missing from the sheets and are only present on the CD. But this is perfectly understandable. 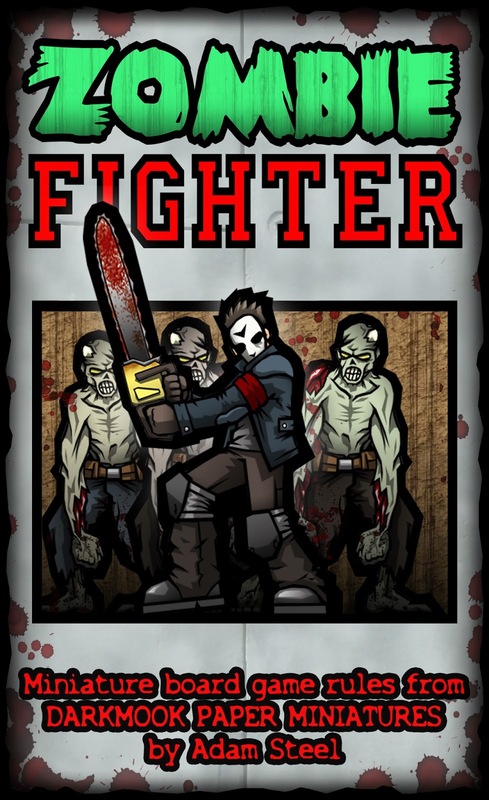 while the new game, Zombie Fighter, has all its components in both forms. Including Arena map ). I was going to forget ... the color rulebooks are stunning. but where are the new paper minis ( other than the new ones already present ) drawn in Zombie Fighter rulebook, Adam ? I hope they are in new expansions and that these come out as soon as possible. Hi Rhannon-so pleased they arrived safe and sound! And yes, there are a number of extras set for release for ZOMBIE FIGHTER, the first of which will hopefully be available this weekend...I will keep you all posted!